Most car accidents do not make national news unless there are particular outrageous facts or serious injuries. However one recent Washington state truck accident made big news when it crashed, resulting in millions of honeybees being released onto the highway. Authorities say the truck was transporting millions of bees to a blueberry farm when it overturned. The crash resulted in bees being thrown from the wreck on the roadway and surround area. It is suspected the truck blew a tire when entering on an on-ramp causing it to roll over. Authorities also say there is a possibility driver was speeding at time of rollover accident, and he may have been falling asleep. When firefighters arrived at the scene of this truck crash, they found most of the 458 hives carrying up to 30,000 bees each had spilled onto the highway, amounting to around 12 million bees. 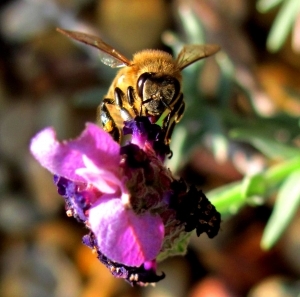 Firefighters sprayed the hives with fire retardant chemicals, which killed many of the bees. Authorities also found bee keepers to come to the scene, where they worked for hours while wearing protective clothing to contain the rest of bees that had escaped from the truck. Witnesses say there were mounds of dead honeybees everywhere. Bees swarmed onto other trucks on the road, including many belonging to beekeepers and rescue workers. The bees, which did not die from firefighter’s chemicals, were placed in boxes and taken by flatbed truck to the blueberry farm where they were originally headed. It is not believed anyone was injured in this unusual truck accident. As our Boston car accident injury attorneys understand, motor vehicle accidents involving commercial trucks often require additional investigation and litigation compared to accidents involving personal vehicles. One the one hand, it may be a benefit to accident victims and their families as companies often have more assets and more insurance coverage, which can be used to help fully compensate car accident victims and their families for the total amount of losses. It is generally necessary to file a claim against at-fault driver personally, but it may be possible to file a claim against at-fault driver’s insurance company on a variety of claims. First, there is a possibility of filing what are known as vicarious liability claims. A vicarious liability claim, also known as a respondeat superior claim is a mechanism by which an employer can be held responsible for negligent or intentional tortious conduct of his or her employers. It is necessary to prove the employee was acting in support of employer’s conduct a time of injury. For example, if a truck driver was carrying cargo for his or her employer, or returning with an empty truck, he or she is likely acting in furtherance of employer’s interests, and employer could be found vicariously liable for acts of employees. A possible defense to vicarious liability is to claim employee was not in furtherance of employer’s interests and was acting on his or her own behalf in what is known as a frolic and detour. An example of a frolic and detour would be if driver takes employer’s truck an hour out of the way to engage in personal business. However, there is often room to challenge a claim of frolic and detour.